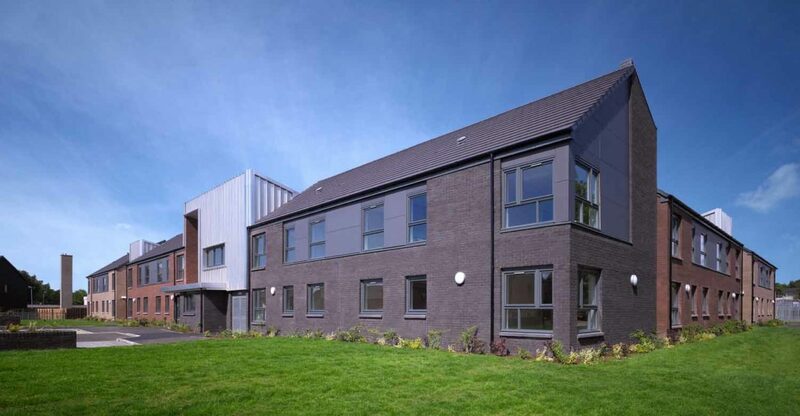 A mixed housing development, Liberty Road carefully integrates very sheltered housing for the elderly within a new build mainstream housing development. 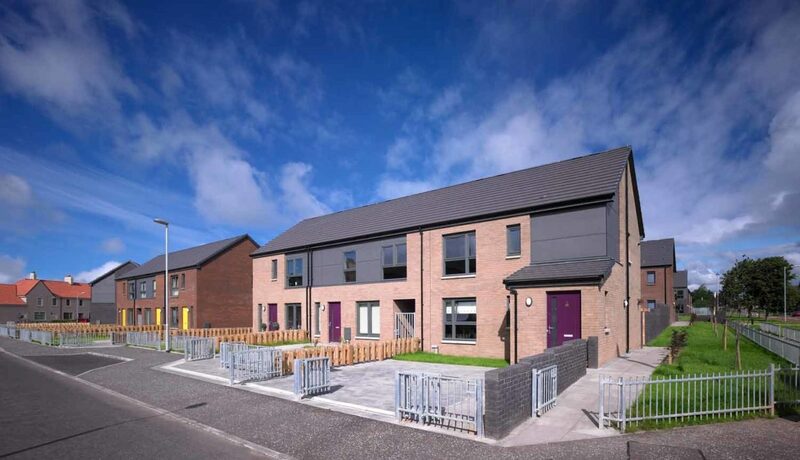 The project was officially opened on the 21st of September 2010 by Alex Neil, the Scottish Government Minister for Housing and Communities. 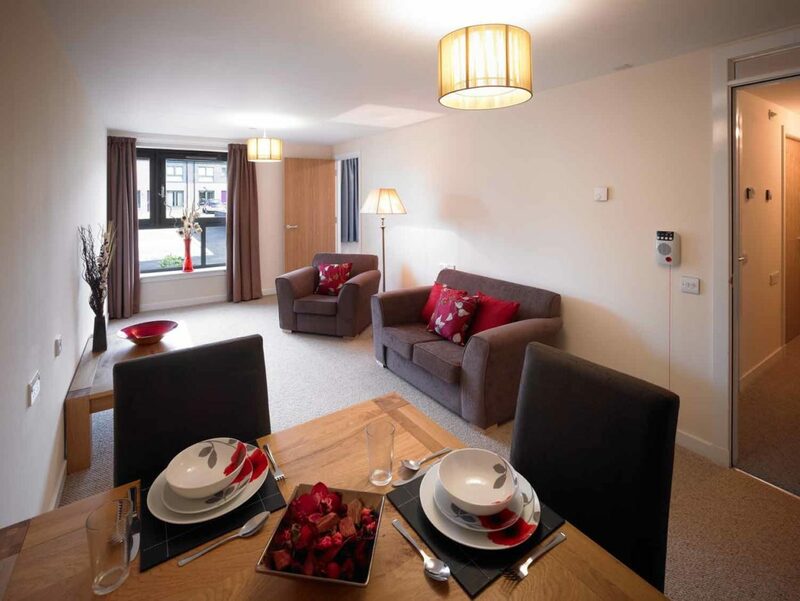 The mainstream housing consists of 28, 2 storey terraced and semi-detached houses and cottage flats. 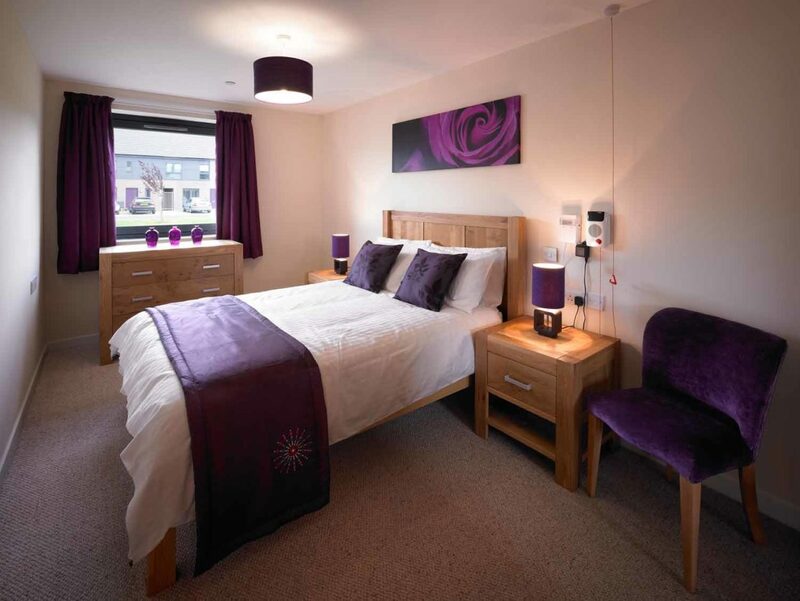 The very sheltered housing development comprises 20 self contained flats for single residents or couples, each with their own living room, double bedroom, shower room and kitchenette. 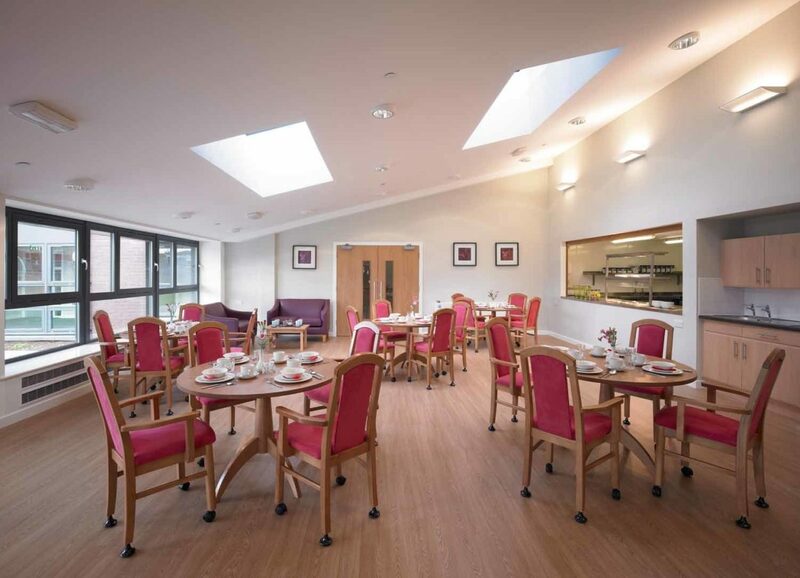 The flats are constructed from the same palette of materials as the adjacent housing to ensure that the entire development is read as a singular entity, enhancing the sense of inclusion for the elderly residents. 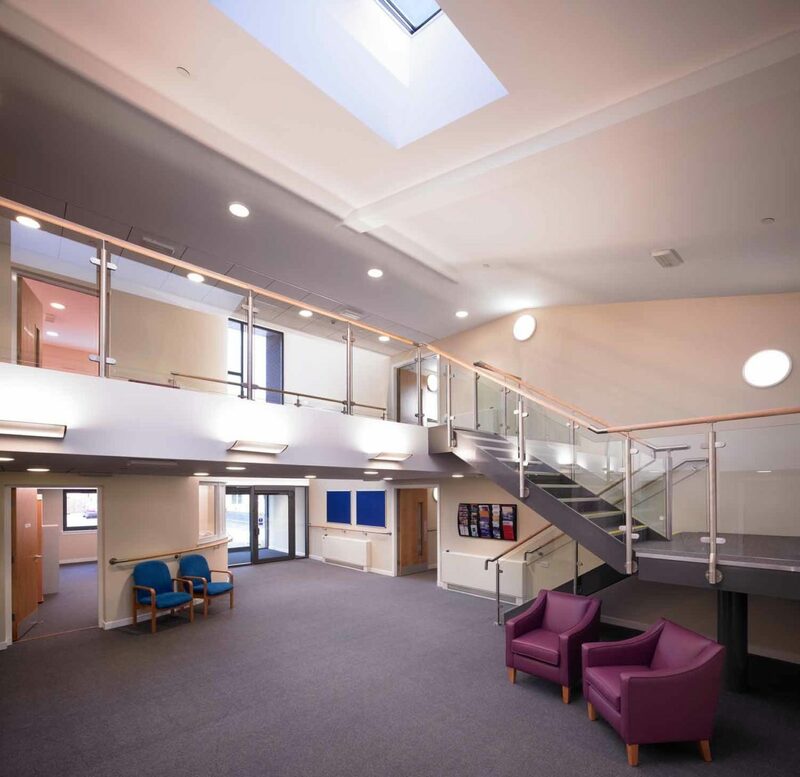 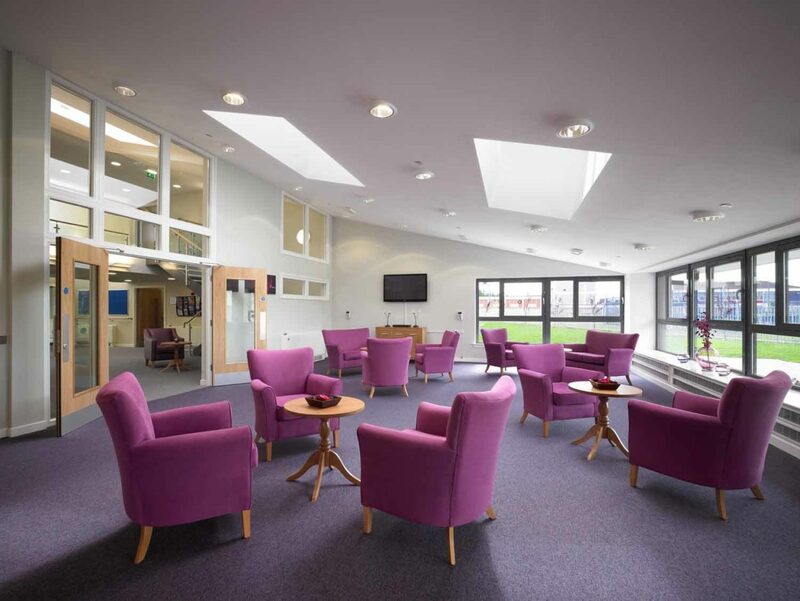 The hub of the care home focuses on a communal living room, dining room, hobbies room, together with a reception area. 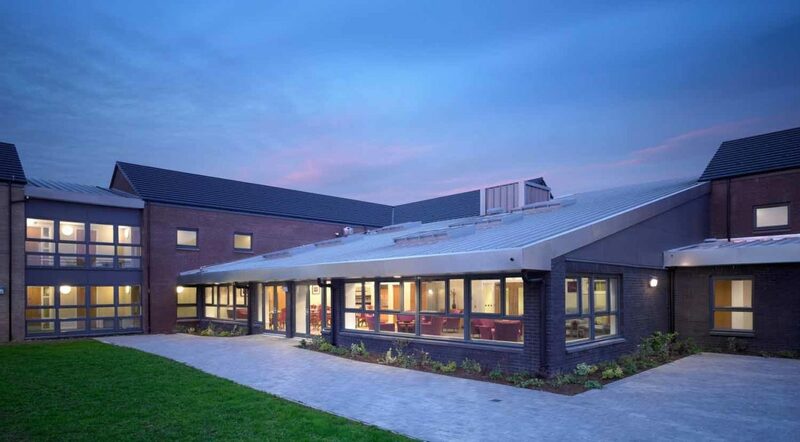 These are contained below a large monopitch aluminium roof which rises from a single storey to the rear, to three stories at the front, where it then folds down the front elevation. 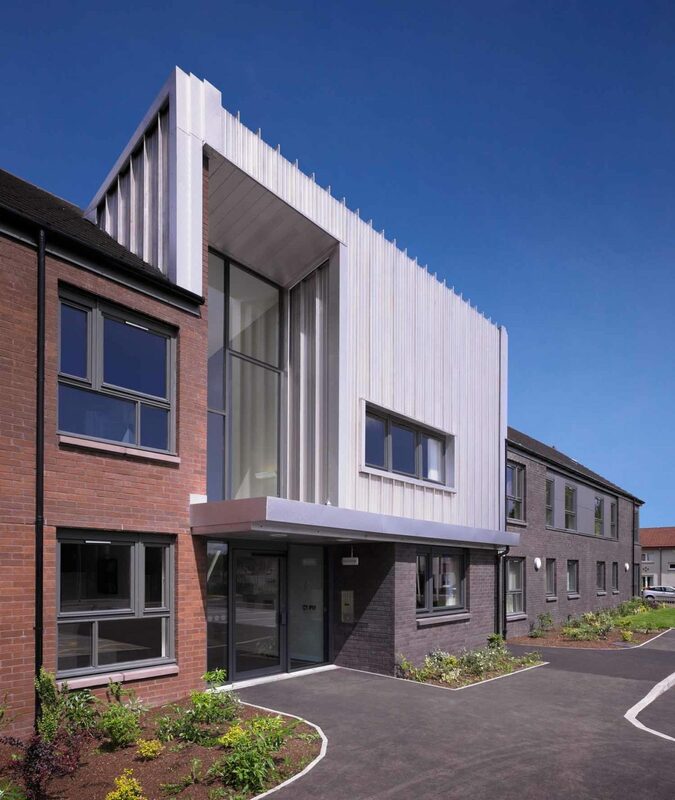 The cladding serves to articulate the non domestic areas of the development, emphasizing the individual blocks of flats and their domestic scale. 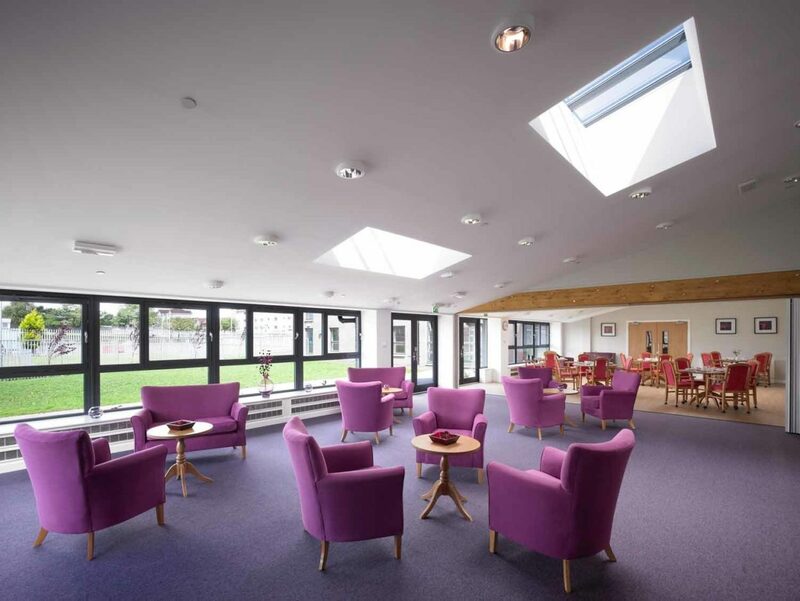 The communal facilities within the very sheltered housing face onto private gardens which overlook a neighbouring childrens’ play area. 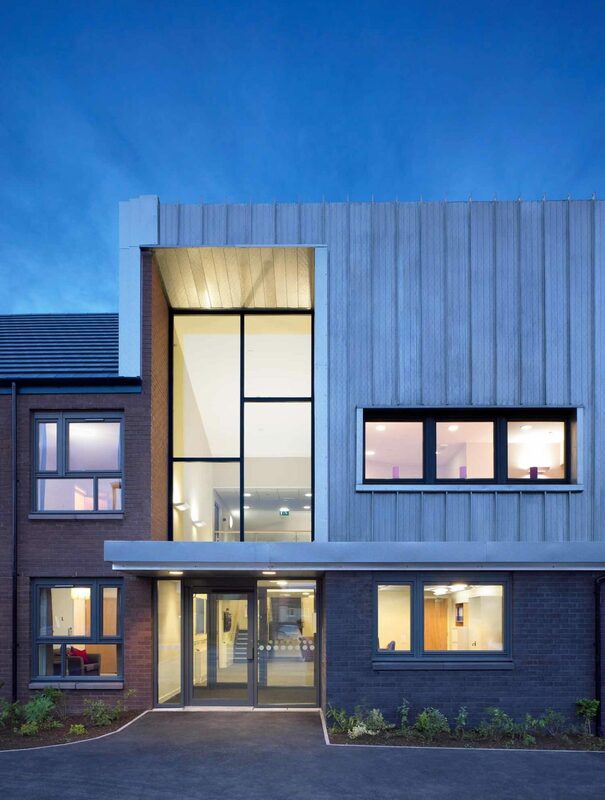 The arrangement of communal spaces to the rear of the development provides residents with beneficial open vistas, whilst ensuring any noise issues related to the play areas are kept at a distance from the residents’ flats within the development.